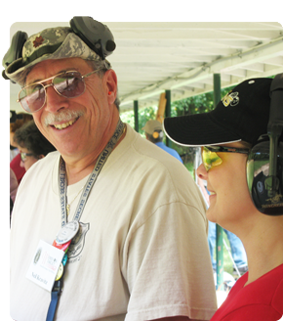 Monumental Rifle & Pistol Club had its origin in the late 1940s, about the same time that the Associated Gun Clubs of Baltimore (AGC) was created. 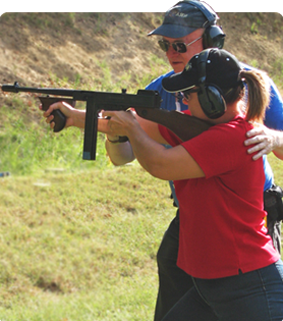 AGC was formed in 1948 when a number of World War II veterans in the Baltimore area began looking for a place to shoot. They organized with several other Baltimore shooting clubs — including Monumental Rifle & Pistol Club — to form the Associated Gun Clubs of Baltimore. Monumental was and is one of the original fifteen “Charter” member shooting clubs which, by virtue of their club Trustees and voting status, comprise the Board of Trustees which governs the Associated Gun Clubs of Baltimore. Today, these Charter member clubs, combined with an additional ten (non-voting) “Associate” clubs, represent the 25 AGC member clubs and approximately 2800 members — comprising the Associated Gun Clubs of Baltimore, Inc.
A fifty point outdoor, covered firing line pistol range, firingat 25 and 50 yards, equipped to handle NRA conventional pistolmatch competitions. A 100 yard, one hundred point outdoor, covered firing linerifle, black powder, and benchrest-equipped rifle and pistol range— with intermediate firing distances of 25, 50, and 75 yards. A ten point outdoor, covered firing line high power riflerange firing at 200 yards, with military-style target frames,equipped to handle national match events. Four trap fields, two of which are equipped with automatictrap houses, two of which use manually operated trap houses. 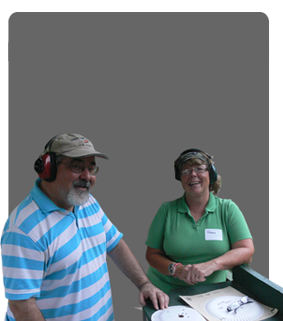 In addition, AGC has two manual Lincoln traps available to club members for use on the trap fields. A three position 50 yard archery range. Two clubhouses of 50 and 100 seat capacities equipped withseparate kitchens and restrooms — for meetings and social events.